Crippling pain shot up through the bottom of the middle of my right foot and I was hurting badly. As the typical runner that I am, I continued to run even though it was painful. I used all the mental techniques that I have used in the past to prevent pain. I sent positive energy to my foot, I used positive affirmations, I stayed present with the pain, I explored the pain with my mind, I tried not to judge the pain, etc. These techniques helped me get through and finish the race, but I was very slow. Why did I continue to run? I don't know but I guess I did not want to give up. And I was secretly hoping that it would not be as bad as it seemed to be. When I stopped running, I was in a lot of pain and it hurt to walk. When I got home, I began to meditate on the pain in my foot and I gave myself Reiki. I continued to do this for the next couple of days and all the pain seemed to be gone. I could now walk without pain but I hadn't tried running on it yet. I decided to try running the following Monday--one week after the race. What Can Cause Running Injuries? The instant I began to run, I felt pain in my foot. I kept running hoping it would improve, but it wasn't helping. I ran a short 2 km loop and stopped. My ego was really suffering now. What was going on with my feet? I began to wonder about my feet. What was wrong with them? Why did one of them get injured so easily? I was tempted to follow this way of thinking and put the blame on my body, but that is not the approach that I normally use to stop what I believe can cause running injuries and has always worked for me before. I believe that all injuries are created in the mind so why was I thinking about my feet? I have been running in barefoot shoes for over six years. I stepped on many, many protruding rocks before and never got injured so why now? 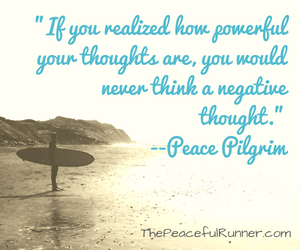 I began to search my mind for any negative thinking patterns that I may have had recently around running. It suddenly dawned on me that over the past few months, I have been having a lot of fearful thoughts about running. Not about getting injured while running, but that something might happen while I was out on a run. One of my biggest fears is that I will need to go to the bathroom and I won't be able to find one. I often structure my running around the location of a public toilet. This has become a huge worry for me. I know it sounds silly but I now realize that I was becoming obsessive about it. I would go to the bathroom numerous times before going running and worry about it every time I went for a run and even the night before I would start worrying about it. Somehow this fear must have manifested as a weakness in my feet so that one of them could be easily injured by running over a rock. Maybe on a subconscious level, I wanted a break from the fear by having a break from running. Our minds are very powerful and creative. And just as positive thought patterns can create positive results, negative thought patterns such as fear can only bring about undesirable results. A fear thought is always about the future. It is never about what is currently happening, which is why staying present is always helpful when dealing with fear. So how will I deal with my fear around running now? First of all, I think it really helps that I am now fully aware of my fears. Now I can deal with them. I cannot let this get to me and take away the pleasure that running gives me. I need to trust that everything will be ok on my runs and if I do need to "go", there will be an option available for me. This has always been provided before, so I will now trust that there will be a solution provided in the future. Finding courage to overcome our fears can be tough, but if we can do it, I think we will be happier, more confident and enjoy more injury free running! 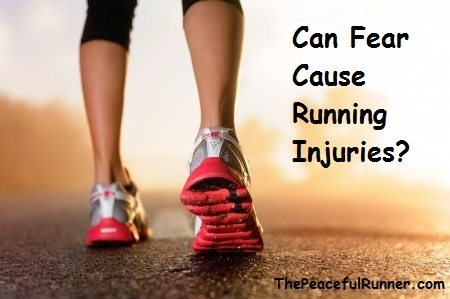 Maybe Fear Can Cause Running Injuries! If you currently have an injury, try not to put the blame on a weakness in your body. Instead, look to your mind for the answer. Are there any negative thought patterns such as fear, guilt, or anger that you may have been experiencing? If you notice any of these thought patterns you probably knew they were there, but just didn't want to deal with them. This was true for me. With regards to my foot injury, I am happy to report that I had my first pain free run on Sunday--one day shy of 3 weeks since "the incident." Even though, I am back running, I know that I must stop allowing fear that can cause running injuries. 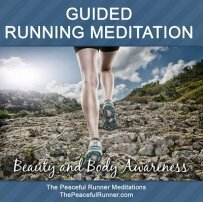 I need to keep a check on my fear thoughts so I can keep running injury free! If you have a story to share about a running injury, please post it in the section below. 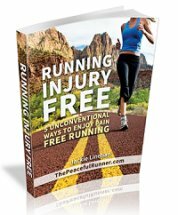 Do you think fear or another negative emotion can cause running injuries? 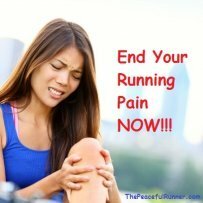 Have A Story About A Running Injury to Share? Do you have a story to share about your running injury? Please share it here! It is in sharing that we help each other. Back to top of Can Fear Cause Running Injuries?